“An alleged self-proclaimed Nazi has appeared in court charged with stirring up racial hatred at two far-right demonstrations in Blackpool and North Yorkshire. The 22-year-old man from Lancashire, who cannot be named for legal reasons, appeared at Preston crown court on Tuesday accused of breaching section 18 of the 1986 Public Order Act by using “threatening, abusive or insulting words or behaviour” intended to stir up hatred against Jewish people. The charges relate to two speeches given by the defendant, the first in March 2016 at a demonstration by a group called North West Infidels in Blackpool and the second later the same year at a meeting of the Yorkshire Forum for Nationalists, attended by people from various far-right groups. Matthew Brook, opening the case for the prosecution, said there was no doubt that the man speaking was the defendant. The jury was shown a transcript of the second speech, in which the defendant allegedly said he thought Hitler had shown too much mercy to Jewish people. 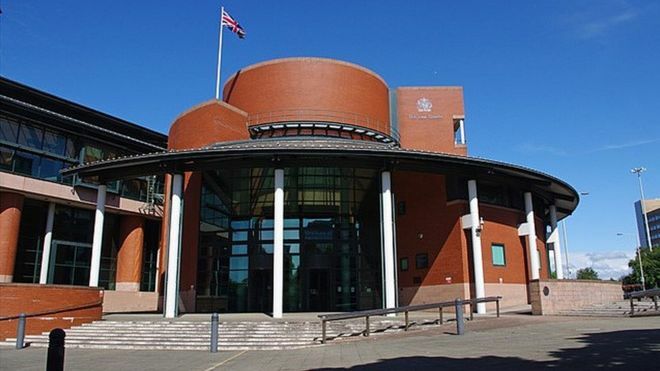 Of the second speech, he said the defendant had been explaining his support for a group called National Action, which was banned in December 2016, and was “in effect recruiting for them”. “It’s clear that the purpose of the speech was to get the audience to agree with his point of view – he was stirring up racial hatred,” Brook said.